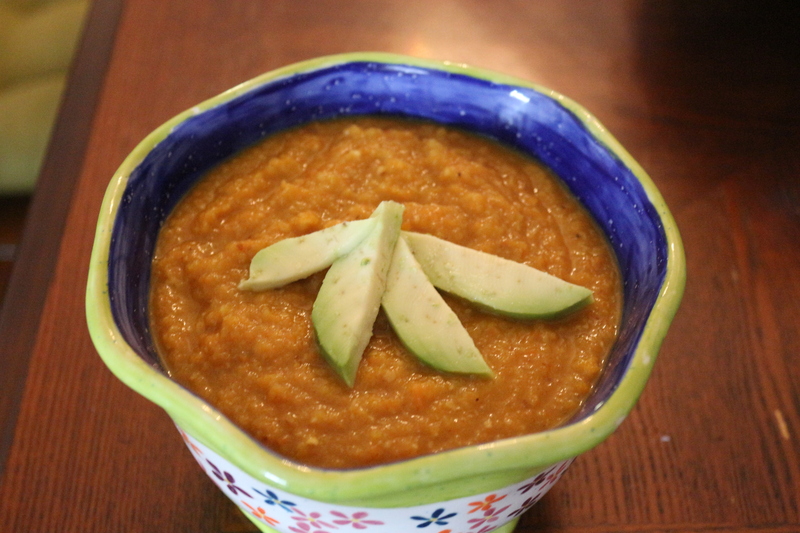 Carrot soup, pureed and smooth, is always a delicious treat. But it’s not always filling enough. This recipe incorporates the simple flavors of carrots and curry with other filling ingredients like beans and almonds to make a delicious soup that also makes a great meal. 1. Put the almonds in a bowl or cup and cover with water. Allow to soak for at least one hour. 2. 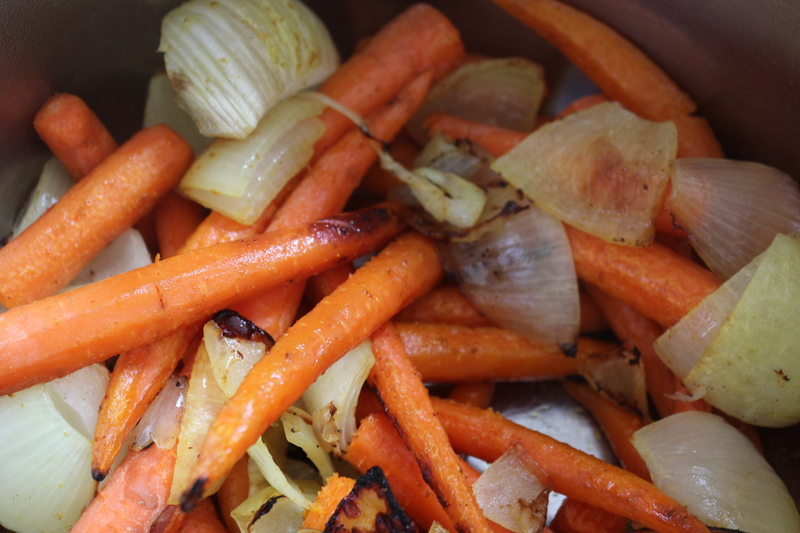 In the meantime, roast all the veggies. Preheat the oven to 425 degrees. BEETS: Wrap the beets in heavy duty foil, place on a pan, and put in the oven. (No need to trim, just give them a rinse.) The beets will need anywhere from 30 minutes to an hour depending on their size. Just periodically stick a fork in them to see if they are soft (but not mushy). GARLIC: Wrap the entire head of garlic in foil, place on a pan, and also put in the oven. This will need about 20-25 minutes until the garlic has become soft and roasty. OTHER VEGGIES: Place the peeled carrots, the two fennel bulbs (trimmed and rinsed), and the onion wedges in a large pan. 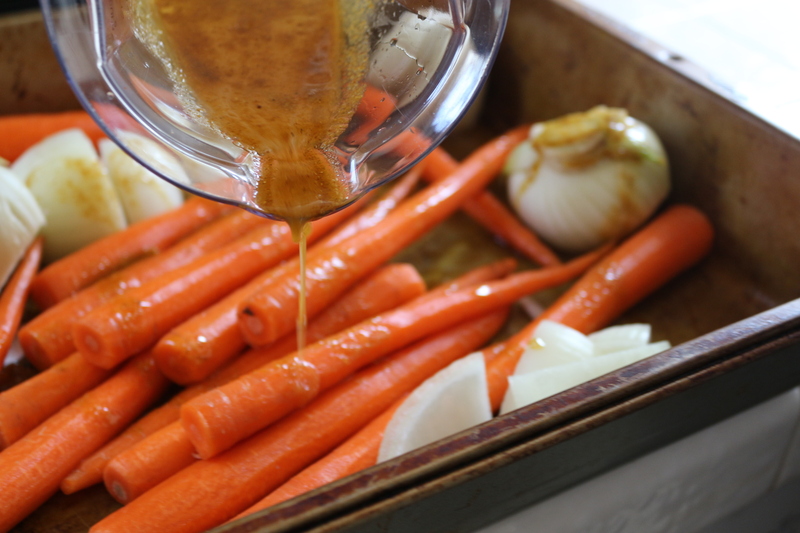 Mix together the lime juice, spices and olive oil and pour all over the carrot mixture. Toss well to combine and add to the oven. Cook for about 25 minutes until the carrots are tender and the veggies are getting some golden brown crust and caramelization. 4. Add the broth to the veggies and cook on a simmer for about 15-20 minutes. At this point, you can add more or less curry powder to the soup depending on your taste. 5. When the almonds have softened up and the skin easily slips off, drain the water and slip the skin off of each almond. Add them to the soup with the beans. 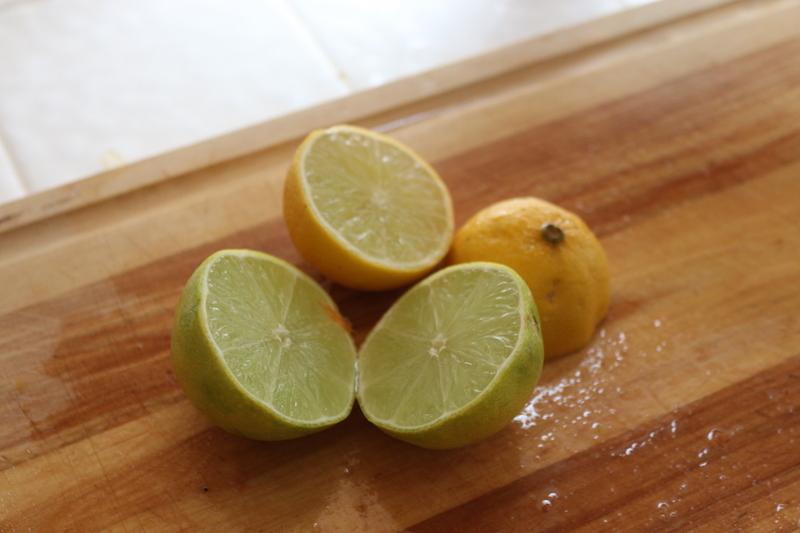 Allow the entire mixture to cook for another 5-10 minutes. 6. Puree the soup. You can either do this with an immersion blender, a regular blender, or a food processor. Note, mine was a little chunky with the immersion blender (it was blended, but not velvety). If you try it in a food processor, it might be even smoother. Serve as is or topped with a little avocado. Enjoy! This entry was posted in Mains, Sides, Snacks, Soups and tagged Beans, beets, Carrots, Gluten Free, Lemons, Vegan, Vegetarian. Bookmark the permalink.